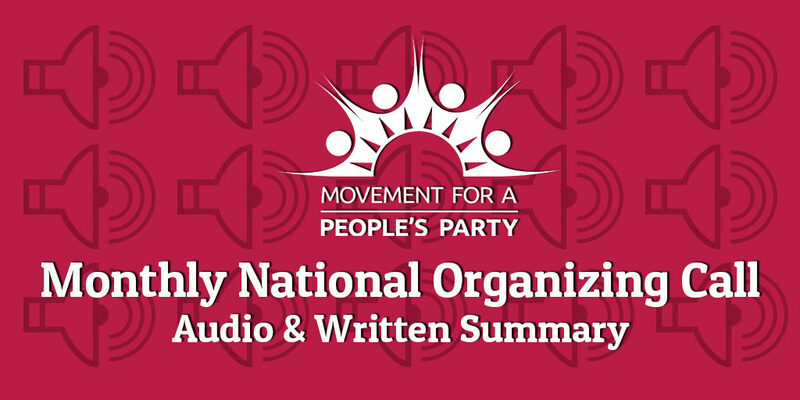 On the call we talked about the failure of the Democrats, the regression of Brazil, and the progress of MPP, including the latest from Tim Canova’s campaign and our labor coalition. Our members who attended the Women’s March On The Pentagon tell us about their exciting weekend with peace activists. And, in questions, a great discussion on the upcoming election and options for independents.